Stay close to the local shops, amenities, and services you love. More cost-effective than a complicated and lengthy renovation to an older home. 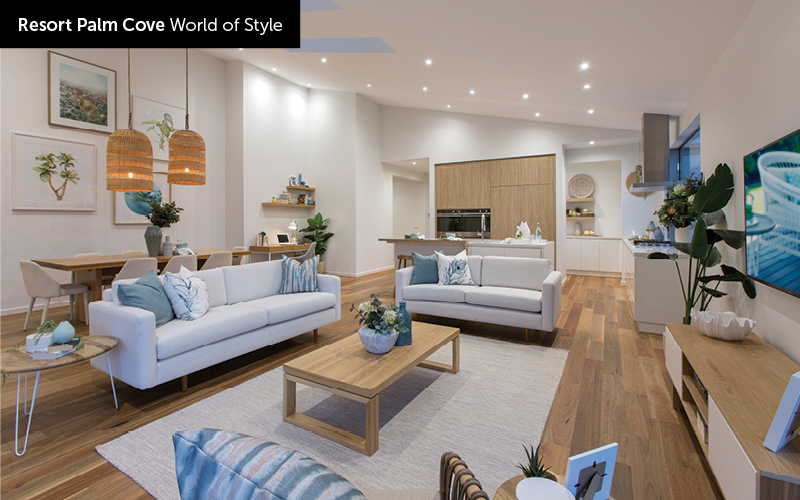 OK, we’ve now established that you’re in the build zone, your block looks like it’s suitable for a Knockdown & Rebuild solution and now you want to start the exciting journey of finding the home that is just right for your family. Porter Davis has a large range of quality double and single storey homes that have proven very popular with people looking to Knockdown & Rebuild. At Porter Davis we think what we do matters, because a new home is so much more than bricks and mortar. We believe a new home is the foundation to the picture of how life should and can be. To us, the idea of a home goes way beyond construction, or service, or design or style. It’s the very cornerstone of life’s hopes and aspirations. And it’s a brave thing to create. We understand and respect that - and those who set out to create their dreams around a new home. We appreciate the fragility of such visions and we exist to protect and nurture those dreams. We provide easy to understand quotes. We organise approvals and permits for your new home (excluding town planning). Planning Regulations - The very first thing you should do is contact your local council to establish if there are any overlays (heritage or vegetation) affecting your land or alternatively you can access this information via the web at services.land.vic.gov.au/landchannel/content/addresssearch. Simply type your address and click search. The next screen will bring up your address, tick the box and click search again. On this screen you will see a number of reports you can choose but we recommend you tick the box which is your basic property report and then click next. This is a summary page of your parcel of land which includes your Planning Zone and Planning Overlays affecting your land. Take the time to click on these reports to review or contact your local council for further details regarding clarification. Street frontage and depth of block - You need to consider the size of your block when choosing a new home plan. Generally in established areas Council requires the setback of the principal frontage of your home to be the average of both of your neighbours. Should you wish to be further forward than this, a Report and Consent approval would be required to be obtained through Council. This process can commence post the completion of your tender appointment and the expected time frame of assessment is approximately six weeks. Setbacks – All new dwellings to comply with building regulations where minimum front, side and rear setbacks need to be met. Discuss these requirements with your Sales Consultant when considering your new home. Easements– Does your block of land have any easements? Easements can impact which designs will work on your block. This information can be obtained by contacting the owners of the easement (ie: council, water authorities) or from your Plan of Subdivision. Slope of your block of land– What is the slope of your block? Does it slope front/back or side to side? We need to understand the gradient to determine if it is suitable for construction. Porter Davis will arrange an initial site assessment through your Sales Consultant to determine if this is suitable to be constructed on. Orientation and natural light– You need to consider carefully the position that you want your new house to sit on your block. Ideally the orientation of your new home should maximise the amount of natural light. Driveway Postition – Ensure you take your existing driveway position into account when you are choosing a house plan. Should you wish to change the existing location of your crossover (driveway) you will then need to obtain approval to do this direct with your Council. Drainage – All sites require a legal point of discharge (LPOD) and a sewer tie within the property boundary for drainage prior to site start. In some cases in established areas, your existing LPOD may be unsatisfactory for a new dwelling. If LPOD is not within the boundary it is the clients' responsibility to ensure it is brought into the boundary. Any additional costs are the responsibility of the owner. Council will determine the satisfactory LPOD and Porter Davis will order this information prior to your tender appointment for presentation at this appointment. Any additional construction required will be determined at this point. Street Access – You will need to take into account how accessible your block is for both demolition and construction. Size of roads, schools in the area, overhead power lines and the requirement for traffic management (if you are on a busy road or in a difficult to access area) will need to be factored in. Please be aware that restricted access blocks may incur additional charges due to management of traffic and manual unloading of materials. Power Supply – Porter Davis constructs all new dwellings with underground power. As your existing dwelling will have overhead power which will be abolished prior to your demolition, you will need to arrange the installation of an underground electricity pit through your provider. This process can be commenced prior to the demolition of your home and can be lengthy. Contact your provider for an application form (Porter Davis can assist in filling out your application if needed). Once returned, you will receive a quote which is valid for 30 days. When this has been paid (within the 30 day period) your electricity pit will be installed in approximately 28 days. From there, your electricity pit can take up to 21 days to be energised (made live). Porter Davis requires a live electricity power pit prior to construction commencing. Neighbours – Can play a part in assisting with the approval of your design. Should your proposed build fall outside of the standard building regulations, you should gain consent from your neighbours upfront, as any objections they may have can affect the design of your home (ceiling heights and windows, etc) and this can delay your build time. Neighbours also need to be engaged regarding fencing as depending on your build fencing may need to be removed prior to site start. Pool – Do you intend to put in a new pool or keep your old pool? Please ensure you discuss this with Porter Davis upfront as this can have a bearing on which house plan you proceed with, and may impact on the cost of your slab design (foundations of your new home) and construction. To maintain a safe workplace, Porter Davis requires a minimum distance of 1800mm between your home and pool and you will be required to install a hard pool cover to Australian Standards prior to construction commencing. Please discuss this in further detail at your tender appointment. Now that you’ve narrowed down the ideal home to put on your existing block, we’ll take you through some key things you need to know and outline what areas fall under your responsibility. 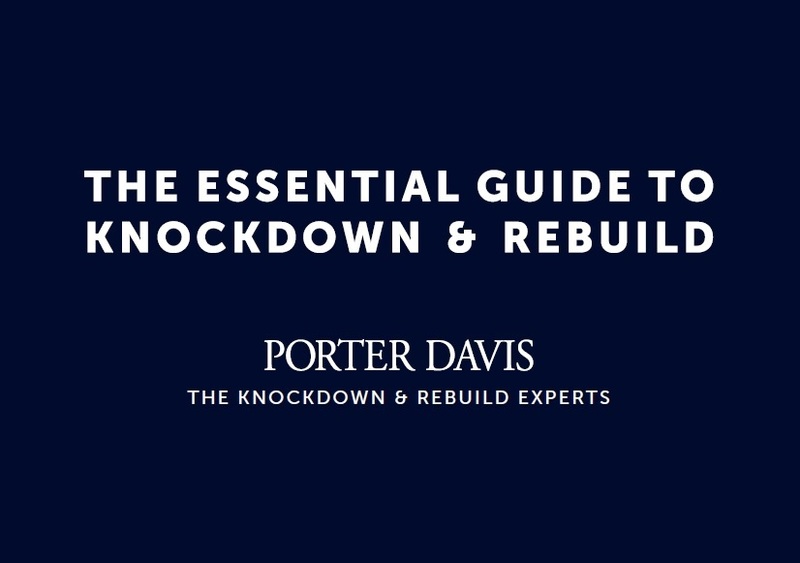 Porter Davis has people with extensive experience in Knockdown and Rebuild and we are here to help with both the general and technical aspects of your journey. Should you have any questions at all please don’t hesitate to contact your Building Co-ordinator. You will be required to obtain an Asset Protection Permit through Council prior to the commencement of your demolition. An application fee along with a bond will be required to be paid which covers any damage to existing council infrastructure, such as footpaths, nature strips and driveway crossovers. Your demolition contractor will need to apply for a Demolition Permit from your Council. Once an application is made this can take up to 28 days to issue. Should your existing dwelling or the overall site contain asbestos, your demolition contractor will be required to remove this and provide you with a proof of removal of asbestos certificate. You will need to provide Porter Davis with a copy of your demolition permit prior to the commencement of construction. Existing side and back fencing will need to be assessed and may need to be removed for access reasons, please consult with your neighbours. Front fences will be demolished with the house, including the footings. Information regarding the specifics of your fencing will be provided to you at your tender appointment. Your demolition contractor will organise temporary fencing during your demolition phase. This temporary fencing will be required to be removed prior to Porter Davis commencing construction. Porter Davis will provide temporary fencing during your new home construction. report with your application. Generally speaking, if you have a Vegetation Protection Overlay a permit will be required to remove a tree that is over and above 10 metres with a diameter of 0.5 metres at a nominated distance of 1.5 metres from ground level. NOTE: Check with council if there is a local law in place protecting any trees. This may be the case even though no overlay is identified on your block. Before any demolition can commence, you need to ensure all existing services are disconnected. Contact your utility supplier to have the Gas disconnected and capped. Contact your utility supplier to have the Electricity disconnected and removed back to the feeder pole. New sewer points may be required during construction. Contact a registered plumber to remove all storm water drains back to the legal point of discharge, or to the title boundary, if they are outside the property. Demolition should only commence once Porter Davis has applied for your building permit. This will be applied for the day you sign your contract. It will then take approximately 3 to 5 days after the signing of your contract to receive a checklist with the items required to be completed/provided prior to obtaining your building permit. Your Building Coordinator will contact you once this is received and assessed, to confirm demolition can commence. Porter Davis will need your site to be clean and clear following the completion of your demolition. You will need to ensure your demolition company removes all debris on your block. Commonly bricks/timber are left just below the surface which are exposed when Porter Davis commences the first phase of construction. Should debris be found, Porter Davis may need to charge additional costs to remove any excess debris that your demolition company has not removed. Please check your site once demolition is completed and provide your Building Coordinator with a photo confirming your block is ready for construction. STEP 1: Source a clear and legible Plan of Subdivision and title. 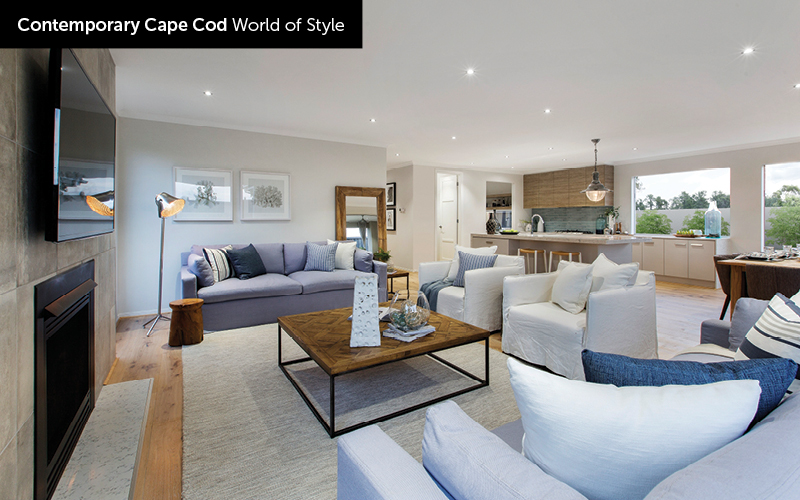 STEP 2: Conduct an initial discussion with a Sales Consultant to find a home design to suit your block. STEP 3: Complete site inspection with Porter Davis to assess suitability and consider construction implications. STEP 4: Pay $2,000 deposit to secure price and promotion. STEP 5: Preliminary soil test survey and property information will be ordered by Porter Davis. STEP 6: Engage a demolition contractor. But don't schedule demolition until Porter Davis has received your initial building permit checklist and has given the green light to proceed! STEP 7: Attend a variation appointment with your Sales Consultant. Your file is submitted by your Sales Consultant to Porter Davis office. STEP 8: Your project is reviewed by the Porter Davis Business Operations Team. You will receive an introductory call from your dedicated Building Coordinator. Your Building Coordinator will arrange Tender, Contract appointments plus your World of Style interior selections appointment for you. 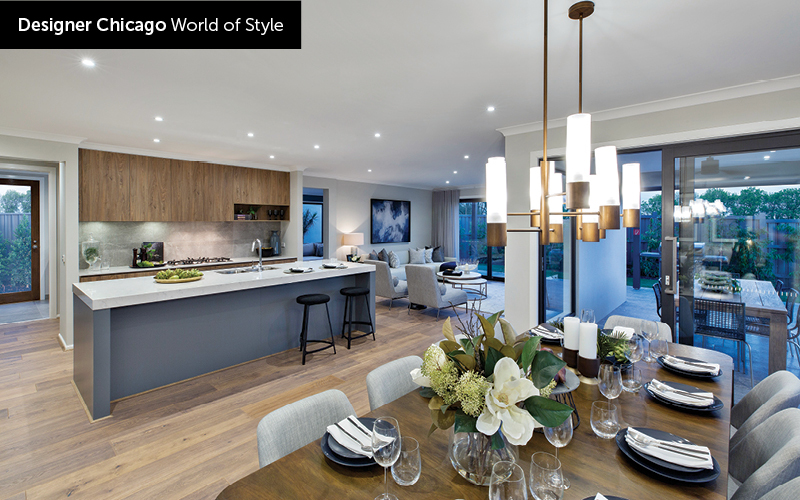 STEP 9: Spend as much time as you like at World of Style to start choosing the finishes and fixtures for your new home. 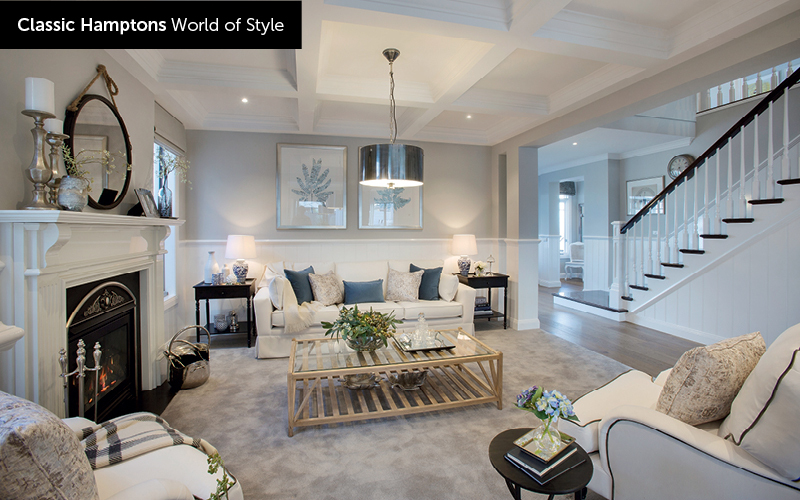 Attend World of Style for your interior/exterior, colours and fixtures appointment. STEP 10: Attend a fixed price tender presentation, including a review of a full set of construction drawings. Pay 3% deposit. If dispensation is required, Porter Davis will prepare relevant paperwork and submissions for consent to affected neighbours and council. Finalise demolition contractor and supply the relevant plans for demolition permit to the contractor to obtain your demolition permit. STEP 12: Porter Davis will lodge plans to obtain a building permit. Provide any crossover relocation permits to Porter Davis if applicable. You will receive a checklist 3-5 days after the permit is ordered, at which stage your old dwelling can be demolished post confirmation from Porter Davis. STEP 13: Your demolition contractor will demolish your existing dwelling. You will need to provide Porter Davis with a demolition permit. Porter Davis will order a second (final) soil test and survey and re-establishment survey (confirming your title boundaries are the same as your fence line). Porter Davis will confirm final site costs. Porter Davis will obtain building permit for new dwelling. Porter Davis will complete a pre-construction inspection. Once the above is completed, Porter Davis will then present you with final construction drawings for your signing prior to commencing. STEP 14: Ready for construction! NOTE: Porter Davis will now transfer your project to the construction team and book in your trades. Upon being transferred to construction, you will start to see site works commence approximately 2 weeks from this date. Construction usually commences 6 weeks from the completion of your demolition. This book has been produced by Porter Davis to provide general starting point information only about the Knockdown & Rebuild process. Anyone considering a knockdown and rebuild should undertake their own enquiries and be aware that local council processes and regulations can vary.